Premium Heather sleeves with a Heather White Center. Image is burnt into the shirt. 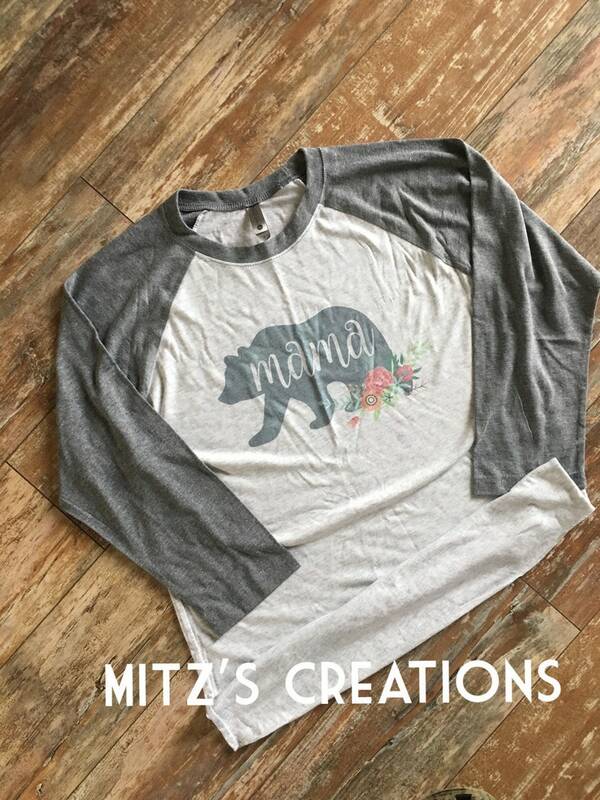 Super cute Mama Bear with a spray of flowers underneath. Needing something other than Mama inside the bear? We can do it! Include in notes to seller if you want something other than Mama in your bear! Took a little while to receive the item, but it was well worth the wait. Will purchase from again. This shirt is beautiful and is exactly as pictured. It did take awhile for it to ship which was kind of annoying but regardless I would purchase from this shop again!